After failing to convert three consecutive match points in the second set. the 21-year-old has become the first Japanese player to win the Melbourne title. 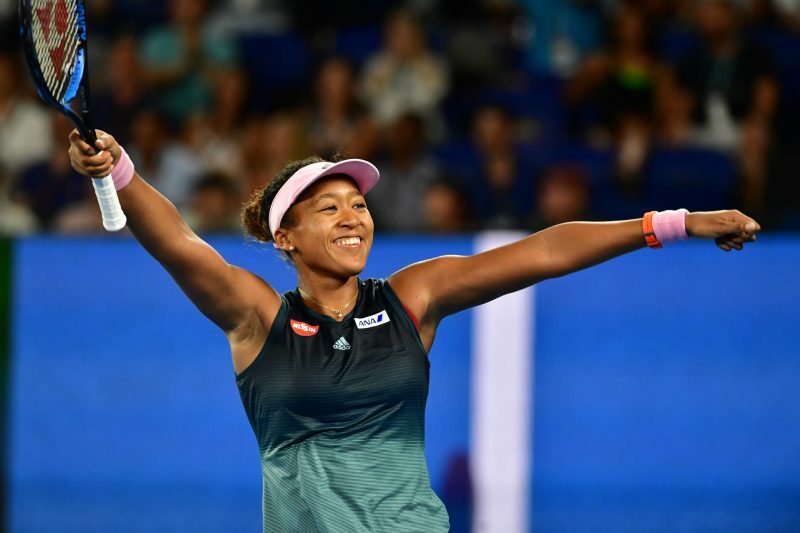 Naomi Osaka will become the first Asian player in history to reach world No.1 on Monday after battling past Petra Kvitova 7-6(2), 5-7, 6-4, to win the Australian Open. 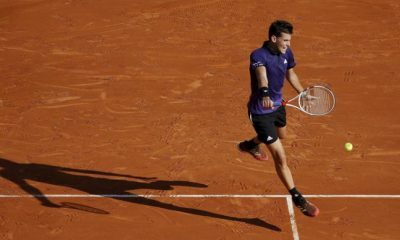 The 21-year-old, who was ranked 72nd in the world 12 months ago, produced an admirable display against her more experienced rival in what was a roller coaster clash. Seeing a trio of Championship points come and go in the second set before coming through the decider. Kvitova is a two-time Wimbledon champion, who was playing in her first major final since 2014. 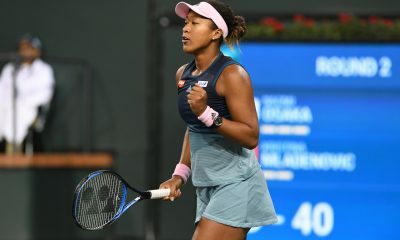 Ultimately, it was youth that prevailed over experience as Osaka battled her way to the title. Hitting 33 winners, nine aces and winning 76% of her first service points. Osaka, who also won the US Open in September, is the first player to win a second grand slam straight after winning her first since Jennifer Capriati back in 2001. “I don’t think I would have made it through this week without you guys. Behind a tennis player is a team and I’m really grateful.” Osaka said in tribute to her own team afterwards. In what was the first ever tour meeting between the two players, there was little to distinguish between the two throughout the opening set. Osaka’s fierce serve was matched by an array of deep-hitting shots from Kvitova. Both players had their chances to grab a breakthrough, but neither was able to prevail. At 3-3, Osaka was on the verge of getting broken after falling behind 0-40, before winning five consecutive points to nudge ahead 4-3. Her mini comeback in the match was aided by some tentative play from across the court. Meanwhile, Kvitova also illustrated her fighting spirit by saving a duo of set points whilst trailing 5-6. It wouldn’t be until the tiebreak where Osaka would be able to dismantle her opponent. Two points into the tiebreaker, a blistering backhand return down the line elevated the Japanese player to a 2-0 lead as she rapidly gained momentum. A few points later, a somewhat ordinary shot from Kvitova was punished by Osaka, who slammed a winning forehand past the Czech to extend her lead to 5-2. The first set was then secured with the help of back-to-back Kvitova errors. Despite her young age, Osaka has already established herself as a strong frontrunner on the women’s tour. Prior to the Melbourne final, she has won 59 consecutive matches after winning the opening set. However, Kvitova refused to take no for an answer as she increased her level to storm to a 2-0 lead at the start of the second. Prompting the first sign of frustration from Osaka. 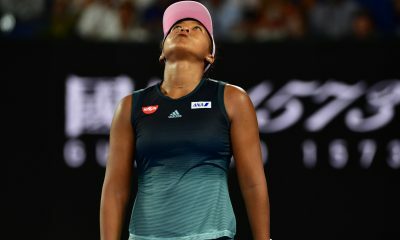 Facing some stern pressure, a relentless Osaka hit back with interest by breaking an erratic Kvitova two consecutive times. Edging to a game away from the historic win, Osaka’s momentum was halted and then destroyed by a fiery Kvitova. The Czech saved three consecutive match points to revive her title dreams. Prompting even more frustration from Osaka, who was close to tears on the court. Suddenly Kvitova was the one in control as she broke an error-stricken Osaka service game to love to force a decider. 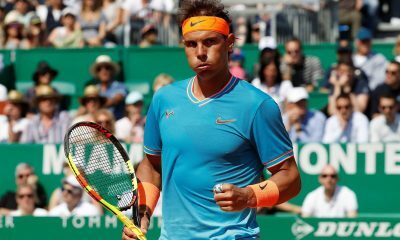 Locked in a mental battle, as well as a physical one, a once smiling Osaka regrouped to break three games into the decider with the help of a backhand cross-court winner. Prompting a sense of relief among her entourage in the crowd. Continuing to weather the storm, the 21-year-old nudged closer to the finish line of what was a dramatic encounter. 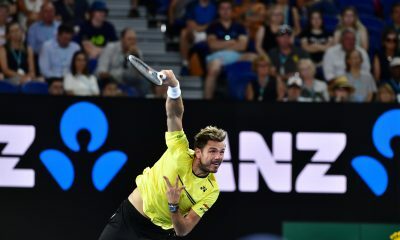 To add to the drama, speckles of rain started to fall on the Rod Laver Arena as Osaka served for the match for a second time. Nevertheless, it didn’t stop her. A perfectly placed serve down the centre of the court forced the error from Kivotva to reward her the title. Prompting a somewhat subdued celebration from the soon to be world No.1. “I’ve always wanted to play you, you have been through so much and honestly, I would have not wanted this to be out first match-up.” The new Australian Open champion said in a tribute to Kvitova. Whilst missing out on the trophy, it was evident how much the occasion meant for Kvitova. Two years ago, she was left facing the prospect of never playing tennis again after a knife attack by an intruder resulted in extensive damage to her left playing hand. She had to undergo four hours of surgery and missed five months of the tour. Even now, Kvitova still hasn’t got the full feeling in one of her fingers. Like Osaka, she also paid tribute to her team that supported her through her absence. “Thank you for sticking with me, even if we didn’t know if I would be able to hold a racket again. You were there every single day supporting me and staying positive, which I really needed.” She said. As the new No.1 player, Osaka is the youngest person to have held that position since Caroline Wozniacki back in 2010. She will also surpass the $10 million mark in prize money earning as a result of her latest win. US 17-year-old Amanda Anisimova fought back from one set down to beat Brazil’s Beatriz Haddad Maia 4-6 7-6 (7-2) 6-2 after 2 hours and 40 minutes at the Claro Open Colsanitas in Bogotà. Roland Garros Junior finalist Amanda Anisimova has become the second US player to reach the final in Bogotà and the first since Irina Falconi in 2016. She has reached the second final of her career. Haddad Maia earned the first break in the third game to take a 2-1 lead, but Anisimova broke straight back in the next game. Haddad Maia got another break lead for 3-2. Anisimova brought up five break point chance on Haddad’s next three service games, but the Brazilian player held on her service games to clinch the opening set 6-4. Anisimova earned six break points, but Haddad Maia saved them setting up a tie-break. Anisimova opened up a 2-0 lead, but Haddad Maia pulled back the mini-break to draw level to 2-2. Anisimova reeled off five consecutive points to seal the tie-break 7-2 sending the match to the third set. Anisimova went up a double break to open up a 4-1 lead. Haddad Maia got one of the two breaks back, but Anisimova broke again for 5-2, when the Brazilian player made a double fault. Anisimova saved five break points before serving out the match after three deuces. “She is a great player, and I have never played her before. I was expecting a really tough match, because especially on clay she is really good”, said Anisimova. Anisimova will face Australia’s Astra Sharma, who beat 2012 Bogotà champion and 2017 and 2018 finalist Lara Arruabarrena 7-5 6-1 after 66 minutes reaching the first final of her career. The first set went on serve in the first eight games with no break point chances. Arruabarrena earned the first break in the ninth game to take a 5-4 lead. Sharma got the break back after saving two set points. Arruabarrena held two game points in the 12th game, but Sharma rallied from 15-40 to break serve for 7-5 after a double break from the Spanish player. Sharma earned two consecutive breaks in the fourth and sixth games to cruise through to winning the second set 6-1. “The most important thing this week has been keeping my keeping really good mentally. Staying positive, staying positive, not thinking too much or getting too negative on court. I have just been really solid and consistent, point by point”, said Sharma. US 17-year-old Amanda Anisimova edged past her fellow teenager Maria Camila Osorio Serrano from Colombia 6-2 1-6 6-3 after 1 hour and 51 minutes to reach the semifinal at the Claro Open Colsanitas in Bogotà. In the opening set Anisimova fended off three break points in the first game and broke twice in the second and eighth games to seal the first set 6-2. 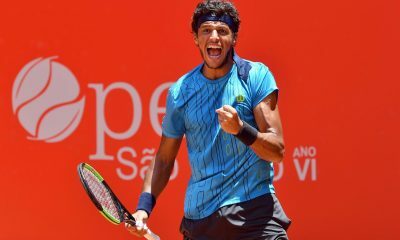 Seventeen-year-old Serrano broke three times to cruise through to winning the second set 6-1 in less than 30 minutes forcing the match to the third set. Anisimova went up a double break to open up a 3-0 lead in the decider. Serrano pulled one break back on her fourth break point chance in a very long fourth game featuring nine deuces. Anisimova saved three break points in the eighth game to hold her serve before closing out the match with a break in the ninth game to reach her first semifinal since Hiroshima last September. “It was a really tough match. Playing someone in their country is really tough. I am really happy that I battled through it, and I mentally stayed strong. 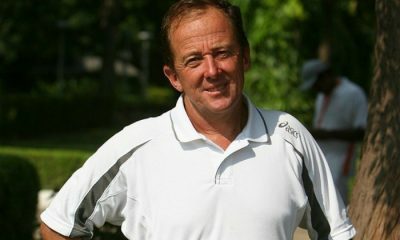 Osorio Serrano is a strong player and I have a lot of respect for her”, said Anisimova. Anisimova will face a semifinal clash against Beatriz Haddad Maia, who came back from one set down to beat Sara Sorribes Tomo 6-7 (6-8) 6-2 6-3 after 2 hours and 45 minutes reaching her first seminal since Seoul 2017. Anisimova and Haddad Maia will meet for the first time in their careers. Both players traded six times in the first nine games of the first set. Sorribes Tormo won the final four points after saving two set points at 4-6 to win the tie-break 8-6. Maia bounced back in the second set by breaking three times in a row to win the second set 6-2. After a trade of breaks in the third and fourth games of the third set Haddad Maia broke twice in a row to open up a 5-2 lead. Sorribes Tormo got back one break in the eighth game but Haddad Maia converted her third match point on return to seal the decisive set 6-3. Spain’s Lara Arruabarrena saw off Tamara Zidansek 6-4 6-2 after 1 hour and 18 minutes. Arruabarrena saved five of the six break points she faced and broke serve four times. Arruabarrena reeled off nine of the last eleven games and raced out to a 5-0 lead in second set. She secured her semifinal spot on her fifth match point in a seven-deuce ninth game. Australia’s Astra Sharma edged former Roland Garros finalist Sara Errani 6-1 7-5. Sharma broke five times and fended off seven of the nine break points she faced. World number 101 Krystina Pliskova came back from one set down in her 4-6 6-3 7-5 win over 2009 Roland Garros champion Svetlana Kuznetsova after 2 hours and 5 minutes at the Samsung Open in Lugano to reach her first semifinal since her run to the final in Prague 2017. 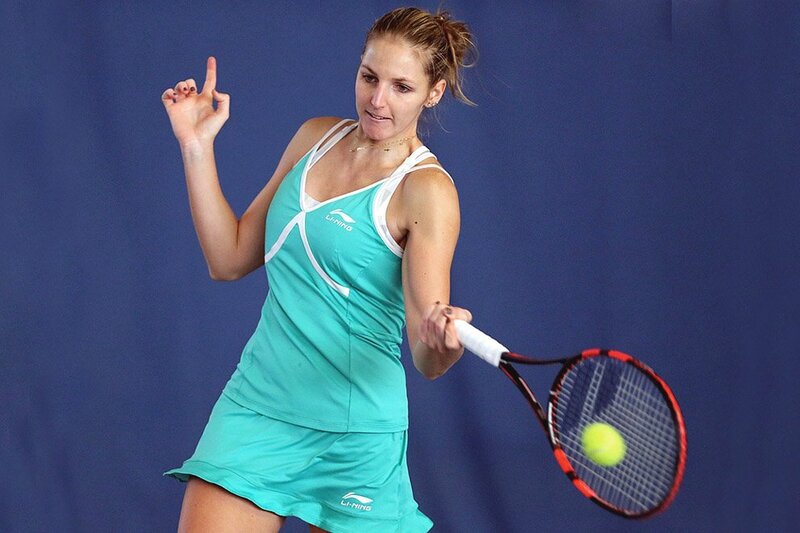 Krystina Pliskova (the twin sister of Karolina) had already beaten Kuznetsova in three sets in the second round at Wimbledon 2015 after coming back from a set down. The first set featured 20 break points. Kuznetsova got an immediate break in the first game on her second chance. Pliskova converted her third break-back chance in the fourth game to draw level to 2-2. Kuznetsova earned a second break lead in the fifth game at deuce to take a 3-2 lead, but Pliskova broke straight back in the sixth game. Kuznetsova broke for the third time to take a 4-3 lead. Pliskova saved three set points to hold her serve for 4-5, as she was serving to stay in the set in the ninth game. Kuznetsova served out the first set on her fourth set point. Pliskova held her service games and broke serve in the fourth game on her only chance to take a 3-1 lead. The Czech player held serve at 30 to seal the second set 6-3 forcing the match to the decider. Pliskova saved five break point chance in the second game of the third set before converting her second break point chance in the third game to take a 2-1 lead. Kuznetsova broke back in the eighth game to draw level to 4-4. Pliskova reeled off 12 of the final 14 points at 4-5 to reel off the final three games thanks to a break in the 11th game securing her spot in the semifinal. Pliskova will face Polish 17-year-old Iga Swiatek (Wimbledon Junior champion in 2018), who rallied from one set down to beat Vera Lapko 4-6 6-4 6-1 after 2 hours and 4 minutes. Lapko saved ten of the eleven break point chances she faced in the first set and broke serve twice in the ninth game to seal the first set 6-4. Both players traded breaks twice in the second set en route to 4-4. Swiatek sealed the second set 6-4 with a break in the 10th game. Swiatek went down a break in the first game of the decisive set, but she won six consecutive games with three breaks to close out the third set 6-1. Polona Hercog from Slovenia beat Veronika Kudemertova 6-4 6-1 after 1 hour and 26 minutes. Hercog converted 5 of her 13 break points. The Slovenian player went down a break in the seventh game, but she came back by winning three consecutive games with two breaks to take the first set 6-4. Hercog went up a double break to race out to a 4-0 lead. Kudemertova pulled back one of the two breaks, but Hercog broke for the third time to close out the third set 6-1. Twenty-two French player Fiona Ferro battled past Switzerland’s Stefanie Voegele 7-5 7-6 (7-5) after 1 hour and 54 minutes. Ferro came back from 4-5 down by winning three consecutive games to clinch the opening set 7-5. The young French player recovered from a break down in the seventh game of the second set with a break back in the eighth game before winning the tie-break 7-5 to secure her spot in the semifinal without dropping a set during the week.